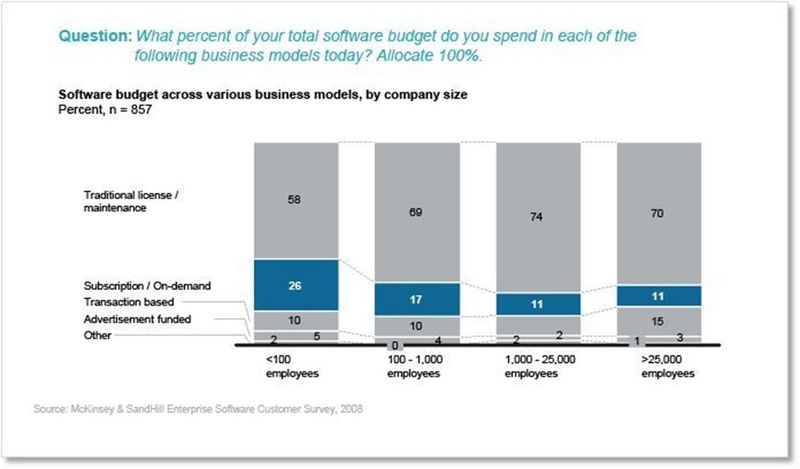 There are some interesting results in terms of software budget spread – it shows that smaller business are spending less on traditional software licences, and more on subscription services than their larger business brethren. 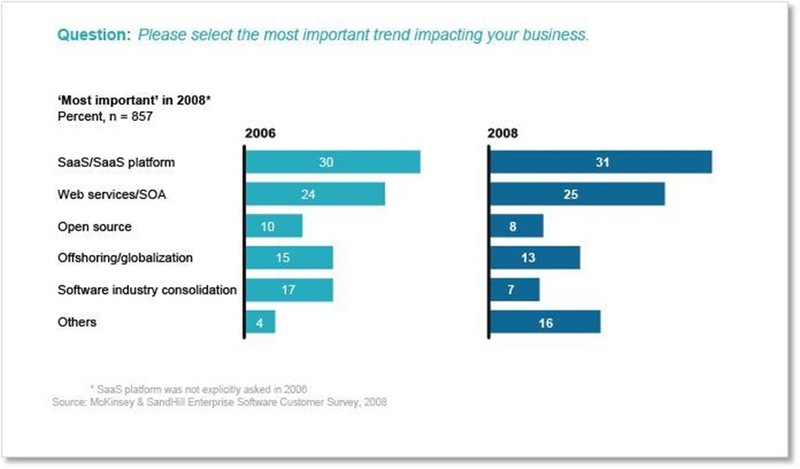 It also shows the expectation that this trend will ramp up over the coming year. 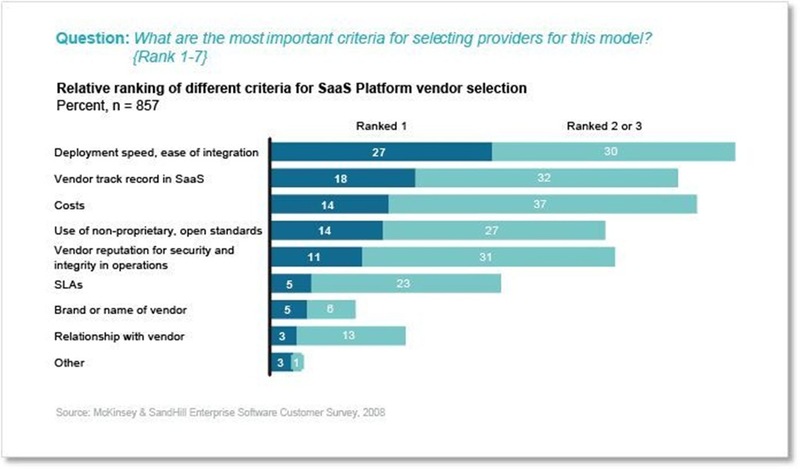 Finally, and not unexpectedly, there are some interesting results in terms of both decision making process and vendor preference across different sized businesses. 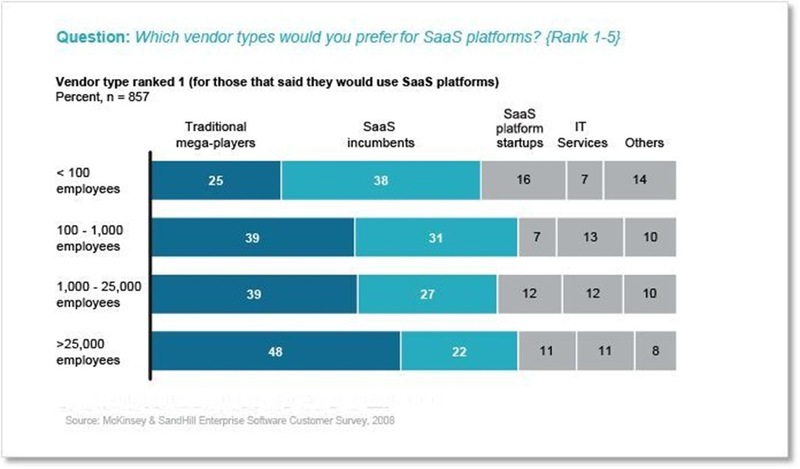 Larger enterprises show a far higher incidence of expressing a preference for SaaS to be supplied by a traditional mega-player (as opposed to an incumbent or startup). 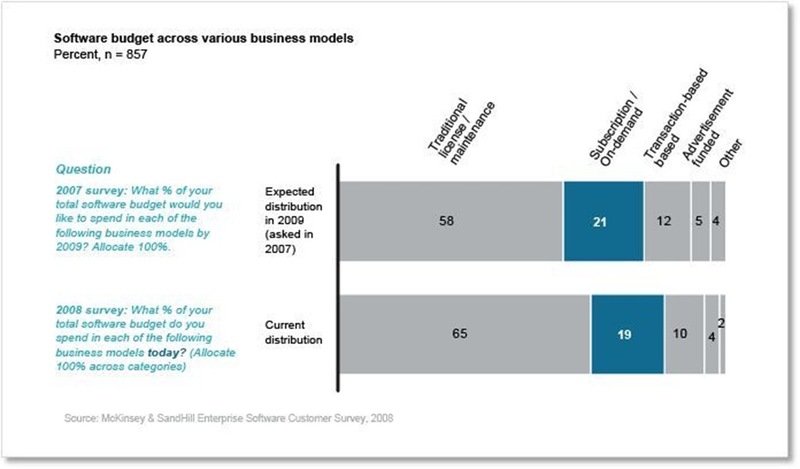 SMEs however tend to prefer the smaller, more agile and proactive startups and SaaS incumbents. So… what are the takeouts from all of this?